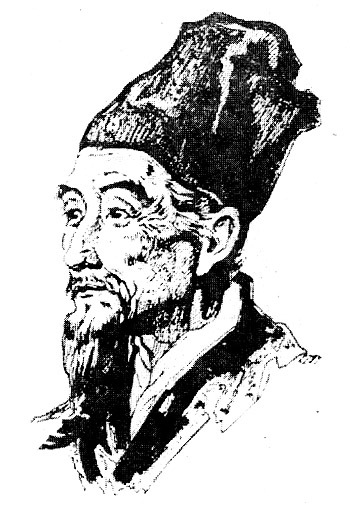 Li Shizhen (李時珍, July 3, 1518 – 1593), was a Han Chinese polymath, medical doctor, scientist, pharmacologist, herbalist and acupuncturist of the Ming dynasty. His major contribution to clinical medicine was his 27-year work, which is found in his scientific book Compendium of Materia Medica. He is also considered to be the greatest scientific naturalist of China, and developed many innovative methods for the proper classification of herb components and medications to be used for treating diseases. The Compendium is a medical text with 1,892 entries, with details about more than 1,800 drugs (Chinese Medicine), including 1,100 illustrations and 11,000 prescriptions. It also described the type, form, flavor, nature and application in disease treatments of 1,094 herbs. The book has been translated into many different languages, and remains as the premier reference work for herbal medicine. The treatise included various related subjects such as botany, zoology, mineralogy, and metallurgy. The book was reprinted frequently and five of the original editions still exist. In addition to Compendium of Materia Medica, Li wrote eleven other books, including Binhu Maixue (Pin-hu Mai-hsueh; Chinese: 《瀕湖脈學》; “A Study of the Pulse”) and Qijing Bamai Kao (Chi-ching Pa-mai Kao; Chinese: 《奇經八脈考》; “An Examination of the Eight Extra Meridians”). He lived during the Ming Dynasty and was influenced by the Neo-Confucian beliefs of the time. He was born in what is today Qizhou, Qichun County, Hubei in July 3, 1518 AD and died 75 years later, in 1593. Li’s grandfather had been a doctor who traveled the countryside and was considered relatively low on the social scale of the time. His father was a traditional physician and scholar who had written several influential books. He tried to move up in society and encouraged his son to seek a government position. Li took the national civil service exam three times, but after failing each one, he turned to medicine. At 78, his father took him on as an apprentice. When he was 38, and a practicing physician, he cured the son of the Prince of Chu and was invited to be an official there. A few years after, he got a government position as assistant president at the Imperial Medical Institute in Beijing. However, even though he had climbed up the social ladder, as his father had originally wanted, he left a year later to return to being a doctor. In his government position, Li was able to read many rare medical books; he also saw the disorder, mistakes, and conflicting information that were serious problems in most medical publications of the time and soon began the book Compendium of Materia Medica to compile correct information with a logical system of organization. A small part was based on another book which had been written several hundred years earlier, Jingshi Zhenglei Beiji Bencao (Ching-hsih Cheng-lei Pei-chi Pen-tsao; “Classified Materia Medica for Emergencies”) – which, unlike many other books, had formulas and recipes for most of the entries. In the writing of the Compendium of Materia Medica, he travelled extensively, gaining first-hand experience with many herbs and local remedies and consulted over 800 books – nearly every medical book in print at the time. Li died before the book was officially published, and the current emperor paid it little regard. However, it remained one of the most important materia medica of China.